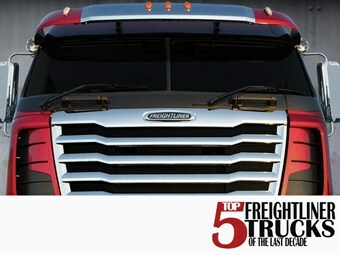 We trawled back through the last ten years and have counted down our top five Freightliner trucks. Which came in at number one? 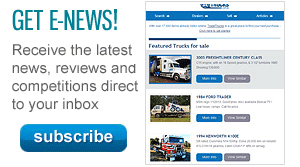 We recall the top five reviewed Freightliner trucks. 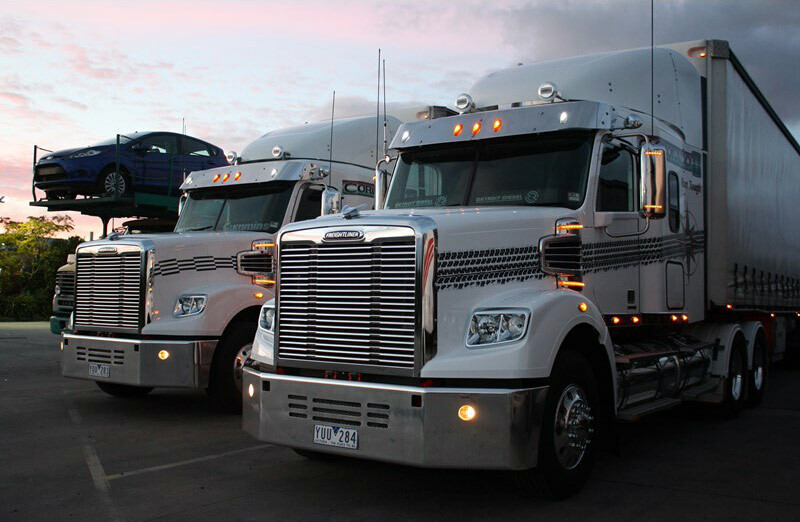 Part of the Daimler stable, the Freightliner brand has been part of Australian trucking since 1989. 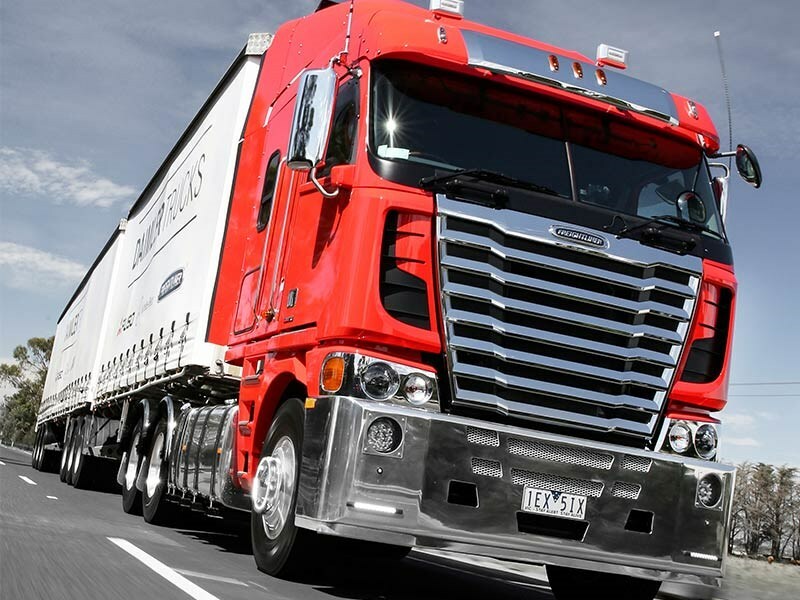 Imported into Australia from North American manufacturing plants, where the truck sits at the top of the market share ladder, Freightliner trucks are most often found on the highway – a task its whole line-up is capable of besting. When it comes to rigid work, it is vocational. Built in cab-over (Argosy) and bonneted form (Coronado, Century Class, and Columbia), the Freightliner brand may not have the local history of some of its rivals but it does have strong, innovative backers overseas. Shown best by Freightliner’s autonomous truck launch 12 months ago. Our experienced team have spent many hours behind the wheel of Freightliner’s range of vehicles and put many of their thoughts to paper. As we continue to find our top five trucks from the industry’s most iconic brands, we have looked back at the Freightliner reviews submitted by our team and picked the vehicles that withstand the scrutiny of hindsight and display longevity. All the way back in 2008 Freightliner upped the power available to the Columbia range, bringing it into B-double territory and making it a much more versatile vehicle. Offering a sleek, modern look and a tough, reliable driveline, the upgraded Columbia trucks featured the new 550hp Caterpillar C15 ACERT engine. With its ability to handle itself, comfortable cabin, and smooth ride, the 2008 Columbia places fifth in this countdown. 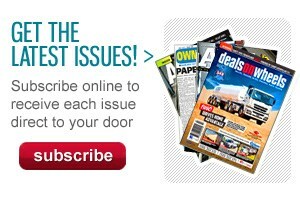 Find a Freightliner Columbia on sale here. What does a truck manufacturer do with a model that is popular with drivers and owners alike but needs a redesign to keep pace with looming regulation updates, yet bears a popular name? In the case of Freightliner and its Argosy range, they called it an ‘Evolution’. The Freightliner Argosy Evolution squeezed in before the 2011 ADR 80/03 emission regulations came into effect and, while it couldn't decide whether it wanted to be American or European, it proved to be a more-than-competent all-round performer. 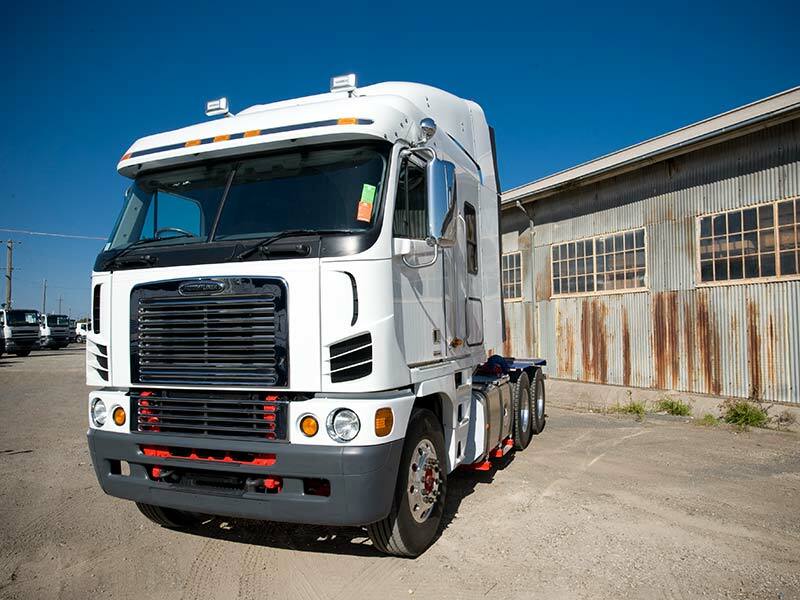 Find a Freightliner Argosy on sale here. The newest of our reviews, the lastest generation of Argosy has one feature that its predecessors craved - a quiet cabin. In fact, the removal of the squeaks that have defined the Argosy over the journey floored both our reviewers but also the readership, who reacted in disbelief at the news. By removing the offending noise, increasing visibility and strengthening the Argosy range, Freightliner's lastest generation is worthy of third place in this countdown. The Freightliner Coronado 114 is a quality truck on its own, but when you throw in an iconic brand like Harley Davidson, it takes it to the next level. 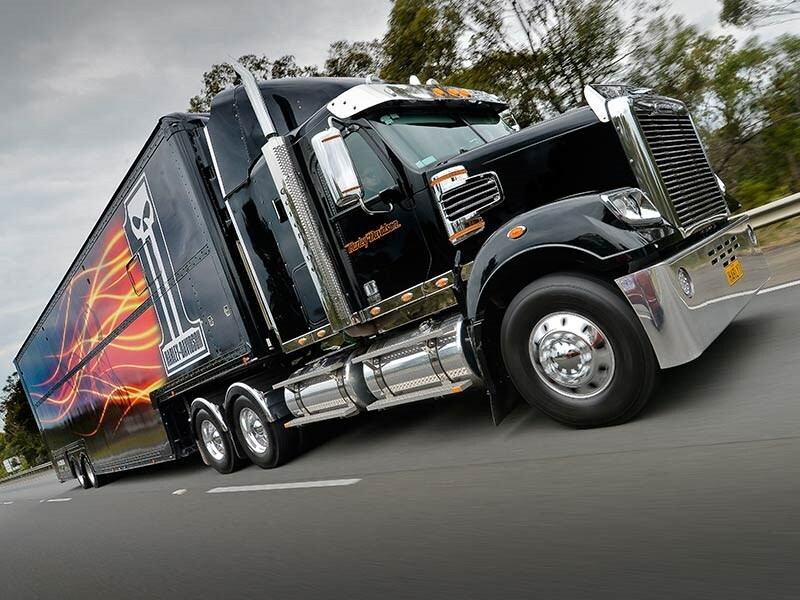 Released to celebrate Freightliner’s 25th Anniversary in Australia, this custom truck is an eye catcher thanks to its tailored interior and exterior. With steering that handles better than its cab-over cousin the Argosy, there’s a lot to like about the stubby-nosed Freightliner. Slotting into the hole left by the Sterling brand, the Coronado 114 is ideal for tipper and dog, 19m B-double and 26m B-double applications. While this one likely won't be doing any tipper and dog work, it's doing plenty for Freightliner and Harley Davidson. Find a Freightliner Coronado 114 on sale here. The best Freightliner truck we have put to the test over the past decade is the Coronado 6x4. 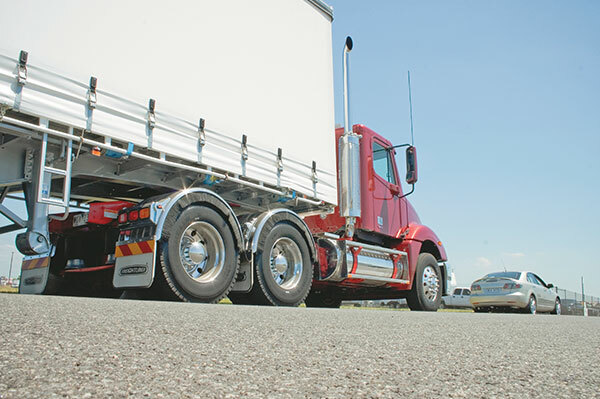 Reviewed back in 2013, the arrival of the long-wheelbase Coronado was the hero model that Freightliner had always been missing from Australia. Featuring a cavernous interior, a GCM at 106 tonnes (severe-duty 140 tonne), and the choice of a 15-litre Cummins or Detroit engine, the Coronado brought bling. Backed by a 58-inch raised roof sleeper and room for up to 2,000 litres of fuel, this hauler offered a impressive package for the open road. Find a Freightliner Coronado on sale here.